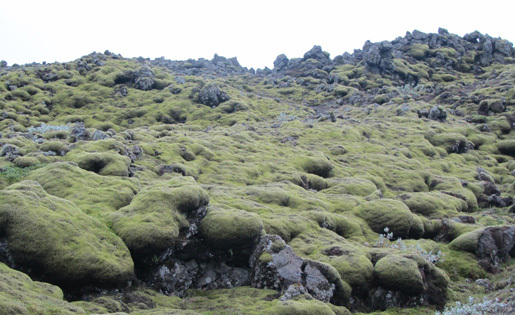 LAKAGIGAR, Iceland – The moss-covered stones you see here, spewed over an area of 565 square kilometers, the largest lava field ever created by a single eruption, emerged from Laki, a volcanic rift in southern Iceland that emitted a steady series of blasts over the course of the year 1783-84. In Iceland, an estimated 9-10,000 people lost their lives in the eruptions, and from the destruction of farmland and the ensuing starvation. The ash and sulfuric gas from Laki spread worldwide – Benjamin Franklin wrote of “a constant fog over all Europe, and a great part of North America” – and caused massive crop failure across northern Europe. Rioters protesting the lack of bread led Queen Marie Antoinette to famously retort, “Let them eat cake!” Although Icelanders themselves suffered most from nature’s fury, they nevertheless feel entitled to claim a certain agency in the French Revolution that overthrew a despotic monarchy. Echoes of that history recurred in modern times, when the Eyjafiallajökull volcano closed down air traffic over Europe for over a week in 2010 with all the ash and gasses released into the skies. The story on the ground was equally remarkable. Iceland is geologically very recent and still highly volatile. People who live there know they must accept the vagaries of nature and adapt to them. But that does not equate to passivity. This modern country has a meticulously articulated climate study program aimed at detecting impending disaster, and an urgent response system capable of mobilizing government forces and the widely dispersed population. During the 2010 episode timely evacuations of farms and communities were organized so that not a single person lost their life, indeed, not even a single farm animal. The state steps in to offer full compensation for material destruction. These two catastrophic events frame the story of how a small country, with only 330,000 citizens, has achieved a generally satisfying social democracy that has eliminated extreme inequality. Viking voyagers first established lasting settlements here in 874 CE. Over the next century, the remote island attracted more residents, mostly Norwegians fleeing from landlessness and civil wars at home. The abundance of Iceland’s well known hot springs was certainly a delight as well. Few Icelandic words have entered the international vocabulary, but one universally recognized is geyser (geysir in the original). Owing to its short growing season – it’s just a few miles south of the Arctic Circle – and to its craggy, hardscrabble land, Iceland was not suited to large-scale landholding nor to a large workforce that needed to be fed or paid. Viking clans spread out through the fertile valleys and struggled to subsist through frozen winters close to the land with their sheep, horses, and cattle. There are no castles in Iceland: Those would imply a more hierarchical society than nature would allow. Chieftains collected taxes and applied local law throughout a land 39,769 square miles in area, somewhat bigger than Ireland and a bit bigger than the state of Maine, but soon enough realized that such a compact island needed to become a country with a common set of principles. In 930, on a plain near Lake Thingvallavatn, they came together to establish an independent Icelandic Commonwealth and its representative body the Althing, regarded as the first parliament in the world. Over the ensuing centuries, the political fortunes of the Norwegian and the Danish monarchies fluctuated, and sometimes Iceland fell into one domain or the other. But the independent spirit of a people so far from the mainland held on strong. The year 1830 marked a notable step toward the growing humanism for which Iceland is recognized. It was the last time anyone was executed for a crime – a murder that arose out of a romantic entanglement. The site at which this justice was served is remote and barely marked in the middle of a field. Even at the time it seemed like an event that Icelanders should take no comfort in and shouldn’t celebrate. Ever since, Icelandic citizens have found other ways to punish wrongdoers – through exile, isolation, restorative justice – and its crime rate is among the lowest in the world. In a 1918 agreement with Denmark, Iceland achieved status as a sovereign, independent state still under the Danish king, excepting foreign affairs and defense. A path toward complete independence had been laid. The 1920s brought equality for women. In 1944 Iceland became a republic completely and legally separate from Denmark. During World War II Iceland served as a vital military base for the Allies, and in the post-war period became a member of NATO, although without a military except for a Coast Guard. The abundance of water resources and geothermal energy has allowed Iceland to become almost entirely powered by renewable sources, although vehicles still run on petroleum. Frequently seen across the landscape are pipelines delivering scalding hot (200 Celsius) water to homes and industries all over the country. Several thermal baths, including the best known in the country, the Blue Lagoon, not far from the main airport at Keflavik, keep tourists happy with their mudpacks, sauna and steam. Forty or fifty years ago Icelandair offered cheap student flights to Europe with a required stopover in Iceland. I remember friends saying they took the opportunity to tool around the capital of Reykjavik for a pleasant day or two, but finding little of cultural or historical interest. Today’s tourist industry has blossomed with ecotourists, backpackers, bicyclists, hikers and campers, and others seeking an unspoiled land of mountains, raging rivers, and placid countryside dotted with docile farm animals as well as reindeer, puffins and other Arctic fauna and flora. I toured with the Sierra Club in a coach that made a complete clockwise circle of the country in nine days. Even President Obama seemed to give Iceland a plug when he mentioned Iceland’s endangered Solheimajökull glacier in his 2015 Paris speech on climate change. Icelanders, who are in the European Union, remind you constantly that you are “in Europe.” I could not help thinking this a come-on to tourists from the continent who need to see the “largest glaciers” and the “biggest, tallest waterfalls” in Europe. I did see busloads of tourists from Korea, China and Japan, but most were from prosperous European countries and the U.S. Although it does not have a long documented LGBT movement, Iceland today embraces full rights for its LGBT citizens. In fact, Iceland’s first woman prime minister, Jóhanna Sigurdardóttir (2009-2013), became the world’s first lesbian head of government. Perhaps some LGBT visitors like the freedom they feel in Iceland. Other historic points of interest to tourists include the Hofdi House in Reykjavik, where Gorbachev and Reagan held a fruitful meeting on October 11, 1986, that set the tone for ending the Cold War; and the modest gravesite of chess master Bobby Fischer in the town of Selfoss. New hotels and guest houses are popping up all over the country to accommodate the onrush of visitors, with a new attention to cuisine that had never been much of a selling point for Iceland. There are some 35 official Hostelling International units ringing the island, with many more informal, private hostels as well. After aluminum and fishing, tourism is now the number 3 industry. Hotels are often staffed by seasonal workers from abroad, and immigrants as well, and I wondered if this work is also attractive to Icelanders bored with their lives on the farm. The financial crisis of 2008 hit Iceland especially hard with a systemic banking collapse. Yet vigorous legislative measures, supported by a highly educated and motivated citizenry, have brought the economy back. 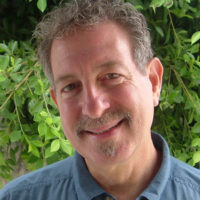 Uniquely among nations affected by the crisis, dozens of banksters were sentenced to jail terms, and numerous government officials resigned. In April of this year, Prime Minister Sigmundur Davíd Gunnlaugsson was revealed by leaks of the “Panama Papers” to have secret investments in the British Virgin Islands with his wealthy wife. Militant demonstrations in front of government buildings in Reykjavik forced his almost immediate resignation. Hovering over the North Atlantic, Iceland straddles the juncture between the North American and the European tectonic plates. Indeed, a visible rift, constantly opening new chasms in the land, stretches clear across the island from the southwest to the northeast. In this geographically unstable, ever-changing and vulnerable place on Earth, an informed and conscious people are committed to figuring out how advanced welfare-state principles can continue to serve both humans and nature, and further the pursuit of a just and democratic society.